If you own a gas guzzler, here's a public service announcement for you: Sell it soon. According to global oil giant BP, you've got maybe 18 years left before that vehicle is obsolete -- and probably a lot less than that. It doesn't really matter what kind of car you drive -- Ford or Chevy, Toyota or Nissan. If it's got four wheels and only runs on gasoline, it's headed for the scrap heap sooner rather than later. That's the upshot of a new report out of BP entitled the "BP Energy Outlook 2030," which contains a wealth of information and speculation on the future of the global auto industry for the next 20 years. The world's population will grow by 20% to approximately 8.2 billion souls. Car ownership will rise three times as fast -- up 60% over the next 20 years. Even with gains in fuel efficiency, global energy demand will rise 40%. Other observations will downright shock you. For example, we're used to hearing that "as Detroit goes, so goes the nation," right? Maybe not. According to BP, while car ownership is still on the uptrend around the globe -- in China and India, in particular -- certain "mature markets" have already reached "saturation levels" at which car ownership will stagnate and decline. And here's a newsflash: We're one of them. Even as U.S. population grows, car ownership per person in these United States has already begun declining and is set to drop even further over the coming years. That sounds like good news for car-sharing companies like Zipcar, but it's probably not good news for the used-car market generally. More specific threats loom for older used cars in particular. You've probably noticed gasoline prices rising, right? Well, that trend is likely to continue and even accelerate in future years as the number of cars on the road globally increases, and gasoline and diesel fuel continue to provide the go-juice for roughly 87% of these vehicles. Higher prices and limited supplies of oil, however, are going to catalyze an astounding increase in automotive fuel efficiency. 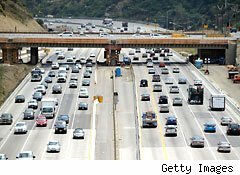 Right now, U.S. cars require more than a gallon of gas, on average, to travel just 30 miles. But BP projects that by 2030, the average U.S. automobile will travel the same distance on just a half-gallon. Cars sold in Europe, meanwhile, have already hit that mark, and Chinese autos aren't far behind. More miles to the gallon is good news, right? Well, yes and no. It turns out that replacing steel auto parts with plastic and aluminum only gets you so far in the race to fuel efficiency. Internal combustion engines, too, can only be tweaked so much. The real advances in fuel efficiency, says BP, will be a massive -- nearly wholesale -- shift in the market toward hybrid, plug-in hybrid, and all-electric vehicles. BP estimates that current levels of "hybrid" adoption (currently just a couple percent of all cars sold globally) will balloon toward 20% by the end of this decade, cross the halfway mark a few years later, and comprise a supermajority (66%) by 2030. What does all of this mean to you and the value of that minivan parked in your driveway? Maybe this is just an oil company's bias talking, but BP does not believe all-electric cars are the way of the future. BP's report cites driver worries about car range and the simple fact that all-electrics are downright expensive as obstacles to widespread adoption of the "EV" concept. BP does, however, believe that we'll soon see a tectonic shift among car buyers toward hybrid vehicles that can run on battery power for daily commuting, then switch to gasoline for longer trip, giving the edge to cars like GM's Chevy Volt and Toyota's popular Prius. You don't necessarily need to rush right out and buy a $60,000 Tesla all-electric Model S Sedan, or even a cheaper Nissan Leaf just yet. But you really don't want to shell out $40,000 for a 15-mpg SUV today and get caught trying to trade the thing in 10 years from now, when the shift to 60-mpg hybrids kicks into overdrive. If you are in the market for a new car now, or expect to be soon, it's time to give serious thought to making the switch to hybrids. Motley Fool contributor Rich Smith does not own shares of any company mentioned above. The Motley Fool owns shares of Ford Motor and Zipcar. Motley Fool newsletter services have recommended buying shares of General Motors, Ford Motor, Zipcar, and Tesla Motors. Motley Fool newsletter services have recommended creating a synthetic long position in Ford Motor.